So its 1958 and you want to go AMA Class C racing. Since the end of WWII and the demise of factory supported prototype racing in Class A, you and your friends can enter any street bike offered for sale at your local dealer. Remember you will be competing against Carrol Resweber who will win 4 years in a row from 1958-1961. What is your weapon of choice? 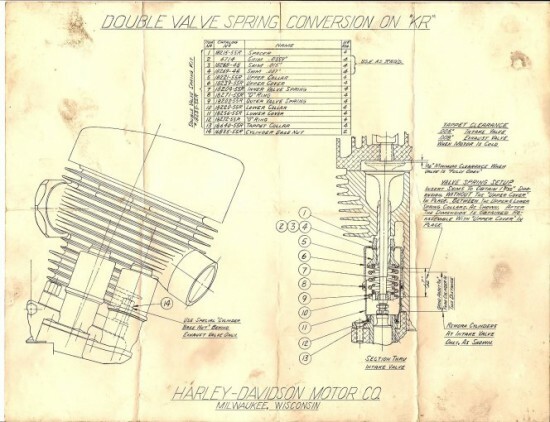 Indian no longer made motorcycles, and the rules (influenced by one manufacture based in Milwaukee,WI) limit Over Head Valve engine displacement to 500cc, so British singles or the new parallel twins are a little short on power. 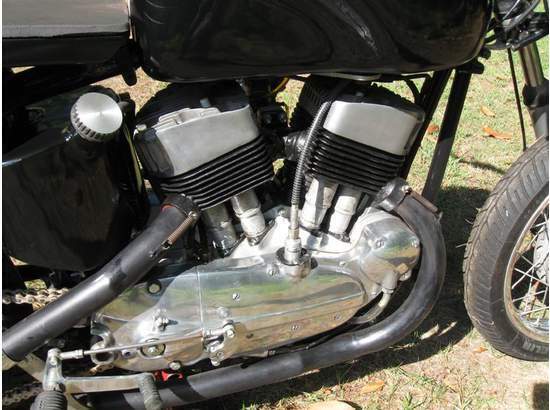 Cubic Inches are still king, so the only choice is a flat-head Harley Davidson, and this 1958 KR in Road Racing Trim is available to you now. Since 1954 the AMA Grand National Class C Championship was made up of a schedule of 5 different events. What we call Dirt Track racing was called Mile and Half Mile oval track racing. 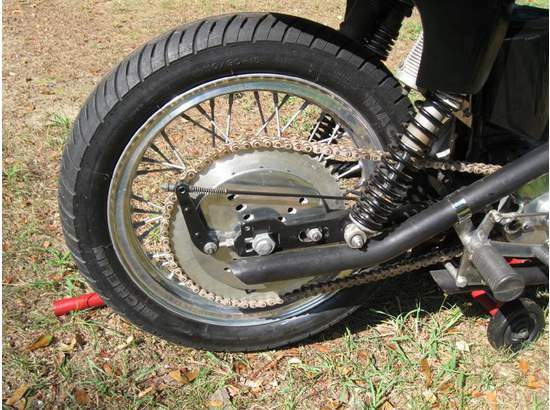 Same dirt surface in Mile and Half Mile length give the audience the rear wheel, power sliding action in two length. Also on the schedule were Short-track racing which were the same circles, but in ¼ mile in length. Seeing a trend here? The benefit of this shorter track is that it will fit inside a new structure of the time, domed stadiums like the Astrodome. For those who think that there should be more turns in motorcycle racing, the TT steeplechase came in to play. It was races on an irregular shaped course that would have at least one right hand turn, and one jump, really more of a bump. The surface was dirt, but with more ruts and chunks. 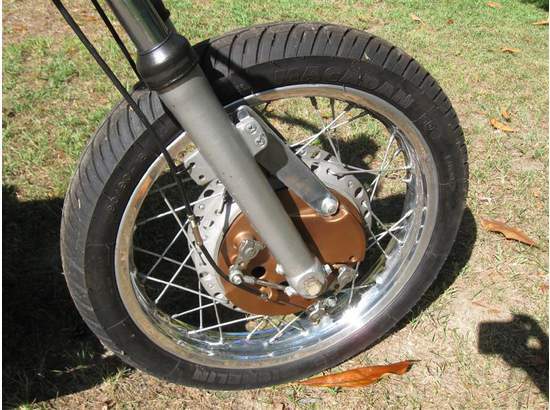 Remember this was before 40 inch or suspension travel, so a kidney belt was an actual safety device. Then there was the road race. This would be any of the many road courses that were around the US which catered to car racers more then motorcyclist. Even and event like the Daytona 200 which was held on the beach was considered a road course, because half of the 6 mile course was down the highway adjacent to the beach. 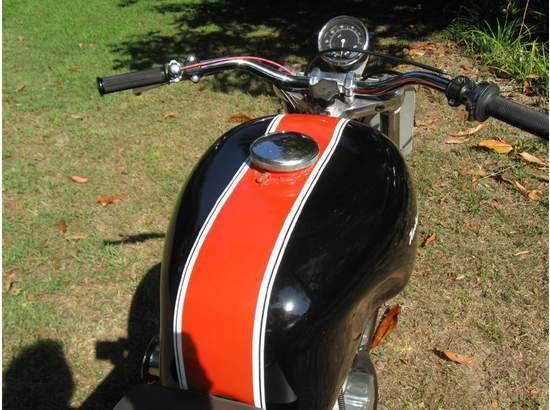 This Harley KR offered shows what can be considered Road Trim in the day. 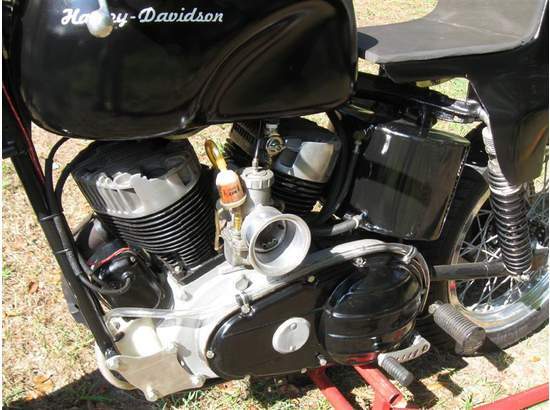 Large gas tank, large front brake, and solo seat would all have been added when going from the oval to the Road. Full Fairings would also have been available and there are many Iconic Harley Flat head racers with a full fairing in black and orange. 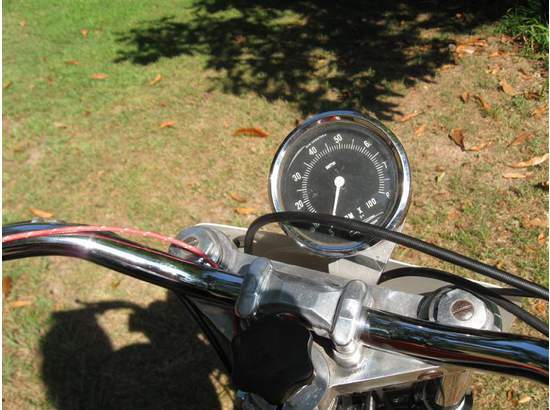 The seller of this KR gives very little information, likely because of the venue of the sale. 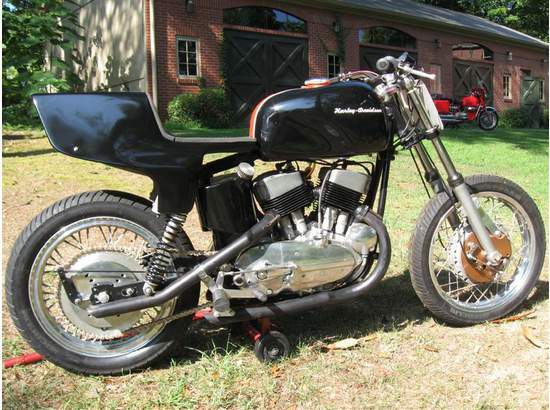 1958 HARLEY-DAVIDSON KR, 1958 Harley KR Road Racer, fresh pro-built motor, many rare parts.